Your credit score is an important part of your personal financial picture and can be a significant factor in your financial well-being. Today, credit scores are often referenced by lenders, insurance companies and sometimes even prospective employers. Yet getting reliable, free and secure access to personal credit scores has been next to impossible. In the world of credit reporting and credit scoring the word “free” gets thrown around too liberally, especially when it comes to products and services marketed to consumers via retail websites. “Free” in many cases actually means “conditionally free”, which really means it ain’t free. Through our partnership with Credit Karma, Debtmerica is proud to offer our users credit scoring and credit monitoring that is really, well, FREE. For the first time you can get a truly free credit score with no hidden costs, no obligations, and no credit card required. This same level of service is something that less reputable firms have tricked users into signing up for in the past, offering “free*” credit reports which come with a bunch of fine print suckering folks into ongoing monthly fees. But Credit Karma is completely free. Not freemium, free. There are no monthly services or paid upgrades. 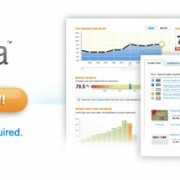 Access your credit score free of charge and track your credit over time. Compare your score against all US consumers and see how lenders view your creditworthiness. Credit Karma now monitors scores on a nightly basis, letting you know of anything derogatory that may impact your credit, or even just a change in your personal information at the credit agency. View a simple, straightforward snapshot of your credit report. The information provided will help you better understand the key components impacting your credit score. See how your credit score compares to other consumers in your state. This simulation tool allows you to plan ahead to see how financial decisions, like applying for a loan or closing a credit line, may impact your credit score. Discover savings opportunities for your credit cards, mortgage, auto loan and more. Offers update each time you log in and are unique to your financial needs.